Precision Garage Door Service of San Diego will help you make the right decision when you need to choose a new garage door. We are authorized sellers and installation professionals of many beautiful designs, including traditional, carriage style, contemporary, and raised-panel styles. We take care of the entire garage door installation process, including hauling away and disposing of your old garage door. Don’t worry, we care about the environment, so we will make sure that all parts are recycled in the proper way. Studies show replacing a garage door has a high return on investment for homeowners. Whether you're thinking about selling your home in San Diego or not, a garage door can also set your home apart from others in the neighborhood. Does your garage door match the style of your home? Precision Garage Door of San Diego is the premier garage door replacement and repair company in San Diego County. We love the unique characteristics this area embraces and we enjoy helping our clients determine which garage door type is best for their needs, style, and budget. From materials to style, we will walk you through the entire process. When purchasing a new garage door, you want to get help from a qualified professional who will recommend the right material and the right style for you. Steel garage doors are the most popular type of garage door because it is extremely durable and low maintenance. Steel is often painted to match the exact color of the home exterior. Ask us about whether a single-, double-, or triple-layer steel door is right for you. Custom wood doors are your most expensive option but leave a lasting impression on any visitor. The beauty of natural wood is hard to beat. Choose from a variety of styles, materials, and colors. Vinyl garage doors used to be popular but have decreased in popularity in recent years. They are low maintenance but are only available in certain colors. They tend to be more expensive than steel. Anodized aluminum and glass doors provide a clean and modern look. They also have excellent maintenance qualities and stand up well in harsh environments. Fiberglass garage doors are a viable option for ocean climates because the material is resistant to salt air. The downside: Fiberglass is a poor insulator and can break in cold temperatures. A garage door is a great way you can show off your personal style and preferences. Take your home’s architectural style into consideration before you choose. A garage door that matches the architecture will add curb appeal. Recessed-panel garage doors is probably the garage door you grew up with. The retro look is making a comeback, and some of our manufacturers have revived the style to satisfy the new demand. Carriage house doors will truly make your home the talk of the neighborhood. This type gives a high-end look to any home, with a touch of rustic flair. Aluminum and glass doors can really set your home apart and provide a clean modern look. Call us today to view our portfolio and variety of options available. We look forward to hearing from you! 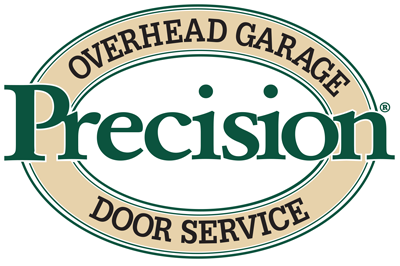 At Precision Garage Door Service of San Diego, we want your business and are willing to work hard to earn it. Proudly serving you in all of San Diego County.